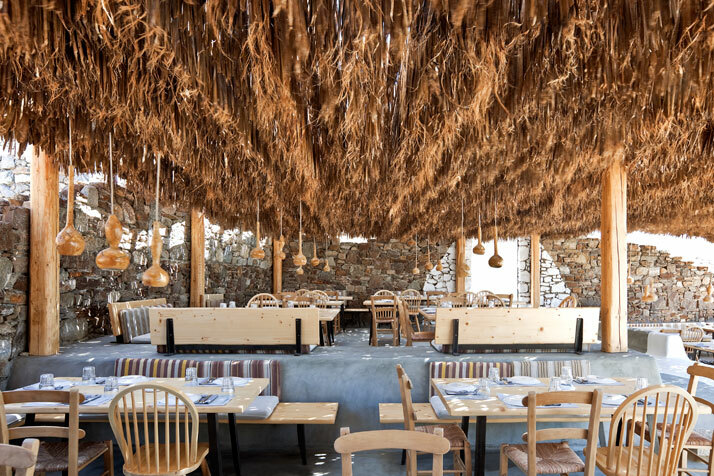 Alemagou is a bar restaurant in the sandy beach of Ftelia in Mykonos. With well-loved Greek recipes and new dishes. Cocktails and music selection, Cycladic architectural elements makes an amazing environment to enjoy you lunch, dinner or drinks.